Carl Rogerson presented George Admiral for achieving 35 Points. Congratulations George, thirty five points! 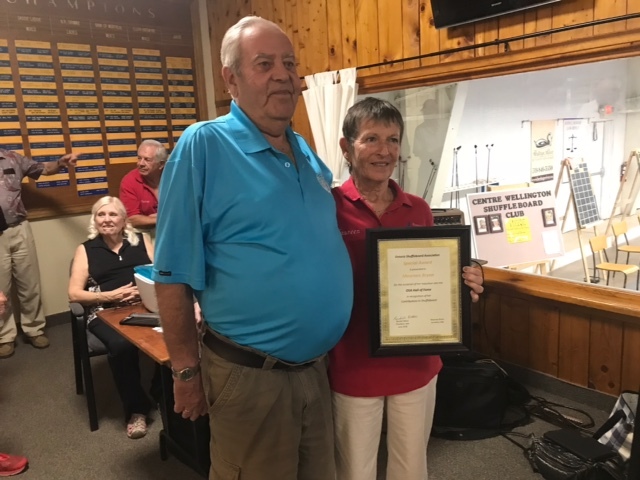 Rendall Bilton presented Maureen Bryan as a Special Award for all the work she has done for Shuffleboard. 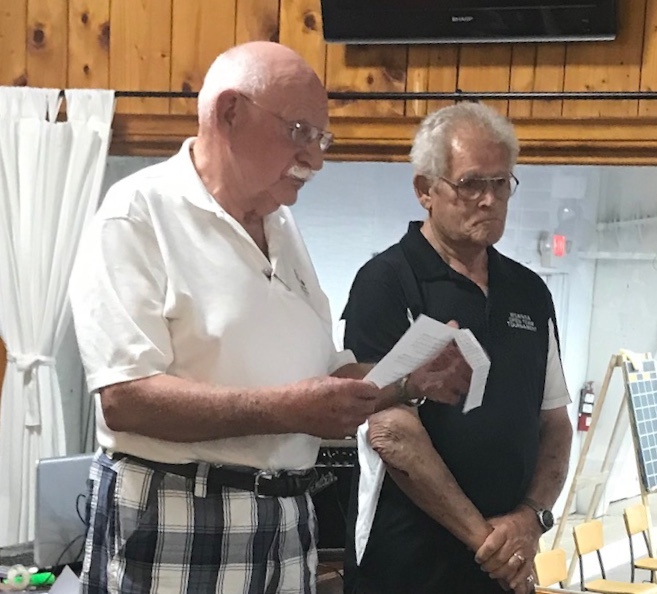 Hubert Van Eert was absent, but will receive his plaque for Induction into the Hall of Fame Special Award for his contribution to Shuffleboard. The Hall of Fame Committee consists of Myrna Bilton, Marlene Corbeil and Muriel Burnett.